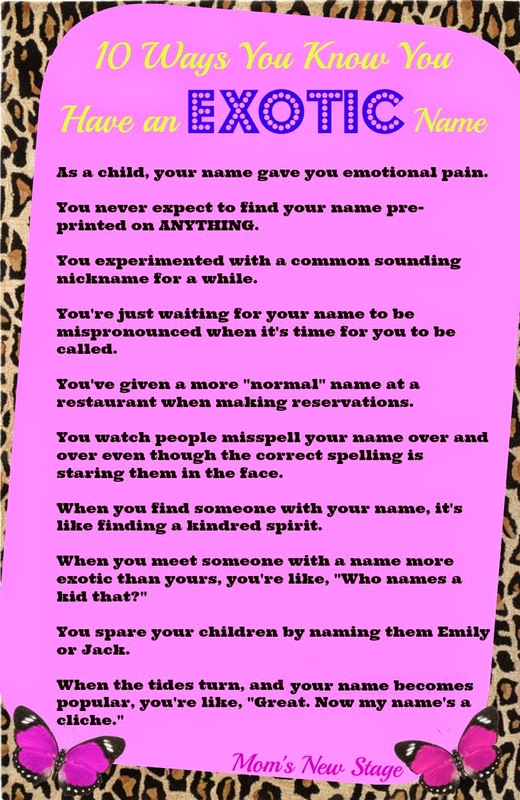 I feel this way about my middle name. I never realize how much trouble it's giving me until I hear people try to say it out loud and I'm like, "That's how you think you say that?" OMG YOU'RE SINGING MY LIFE WITH YOUR WORDS. Haha! As a girl named Christian, I meet or have met all listed criteria. People have a hard time fathoming that Christian is a girl's name so they often assume it must be pronounced Christine or Christianna. My dentist has called me Kristen so long I don't have the heart to correct her. My name's not even exotic, but people won't spell it right anyway.